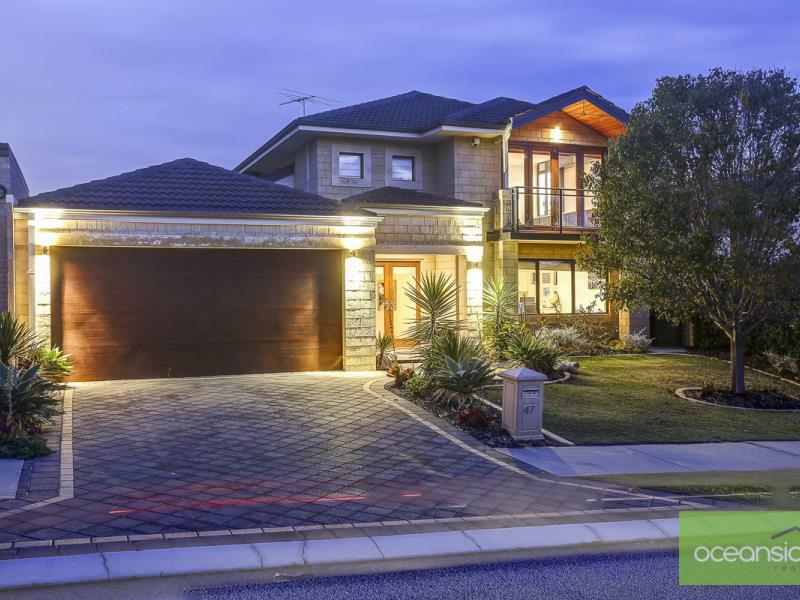 Stunning executive family home located in one of Mindarie's most sought after areas. 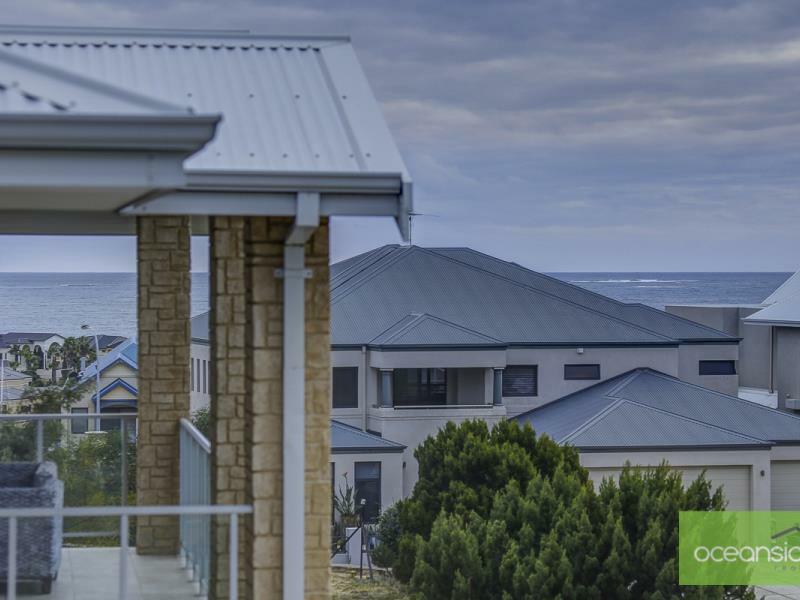 Short stroll to Mindarie Marina, the beach, top fishing spots, restaurants, and premium schools. * Quality feature doors and lighting, solid Tasmanian oak floors through out, ducted reverse air-conditioning, entrance intercom, possibilities for 5th bedroom, 3 x living areas, stunning outdoor entertaining with pizza oven and cool blue pool. 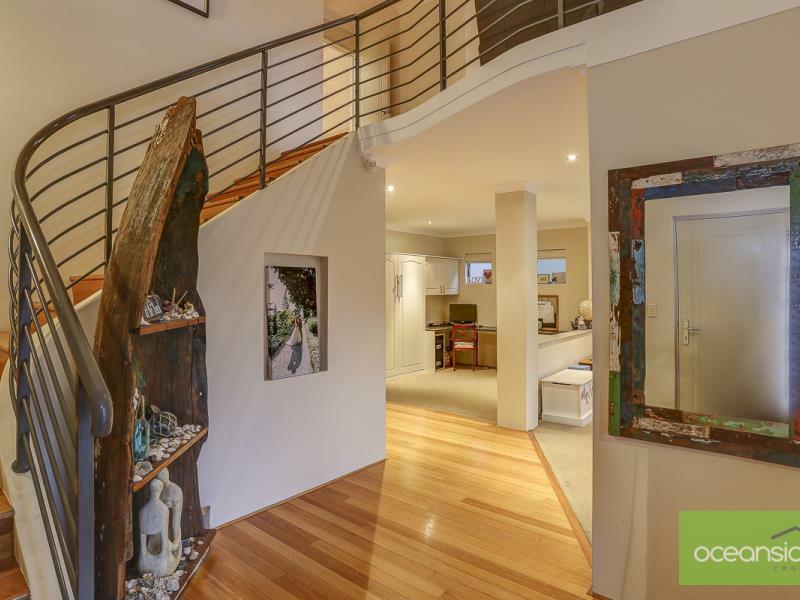 * Double door entrance foyer with beautiful modern timber staircase to 2nd floor. * Formal lounge and dinning - The dining has been converted to a spacious study/sleep area with built in cabinets, benches and pull down bed. Possible to fully convert to 5th bedroom. * Double doors to spacious open plan kitchen, dining and family room. * Great sized central kitchen with quality chefs smeg and Miele appliances, dishwasher, walk in pantry, large roller door appliance cabinet and breakfast bar. * Glass sliding doors from dining to outdoor timber deck. * Stunning western red cedar bi-fold doors from family room opening onto high atrium roofed outdoor entertaining - impressive! * 3 spacious queen sized children's bedrooms all with double floor to ceiling built in robes. * 2nd quality bathroom with bath, shower and vanity. * Great sized laundry with walk in storage, built in cabinets and bench, separate toilet. * Movie theatre room including projector and built in speaker equipment plus quality built in cabinetry with stone bench top. Western red cedar bi-fold doors opening onto the balcony and ocean views. * Enormous master bedroom with double door entrance, his and her separate walk in robes, spacious open bathroom en-suite with long double vanity, shower, separate toilet and Jet Spa Jacuzzi . * Stunning patio outdoor entertaining with high pitched timber lined atrium roof and timber deck overlooking the cool blue pool and pizza oven. * Double garage, extra high with storage nook and roller door rear access for pedestrians. * Build date approx 2005.